Anakin/Vader Art. . Wallpaper and background images in the अनाकिन स्काईवाकर club tagged: star wars anakin skywalker episode iii darth vader. This अनाकिन स्काईवाकर fan art might contain मोबाइल फोनों के लिए, हास्य पुस्तक, मंगा, कार्टून, एनीमे, कॉमिक बुक, and manga. This is cool! Shows what Anakin's future will be. Very cool. 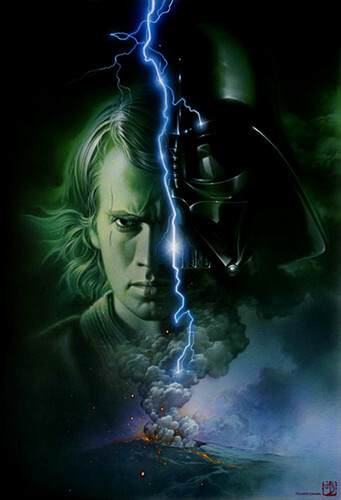 It's nice to see an Anakin/Vader pic that doesn't have red in it.